October 4, 2012 – Who Has a Boom Box? 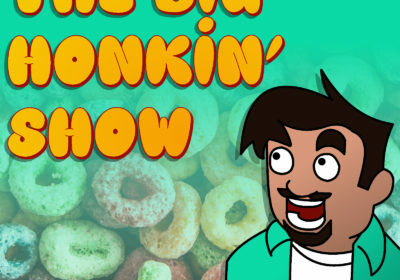 This episode’s recording was cut short due to the recording technology available at the radio station (There wasn’t any) and the means by which the show was recorded. (Through the Tune In app at the time thanks to Jimmy in GA) A sincere thank you goes out to Jimmy in GA who is the sole reason we have ANY recordings from this age of the Big Honkin Show. On this episode Steve starts out with a food hangover, remains obsessed with Felix Baumgartner, talks about a dog and Batman. Are the seeds of the animapocalypse planted here? Maybe.